Empower yourself you can either devour the lessons life gives or test life an have control over life and not the lesson to live.. Listen to the lessons In your life control what you can. The best lessons never test the greatest lesson that gives us the best of life.. Life is the greatest it teaches us the life lessons we learn by the test not to control what we have In life and not to live to the lesson. Listen to life its the best the greatest lesson in life listen to life lessons the best in life it tests not to control greatest lesson full of the best life.. Live and listen the greatest life to live it’s bests test life teaches listen to life.. 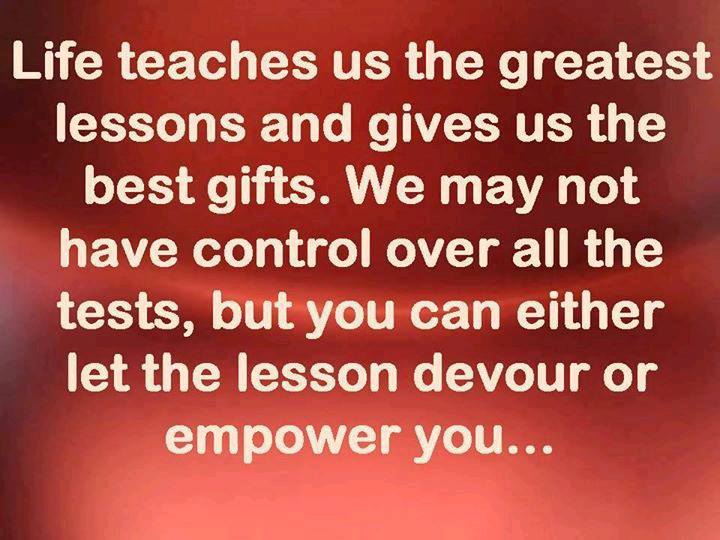 Greatest tests best lessons listen.. In life greatest lessons not to control the test of life but to listen to lessons In life best learned control & enpower you best in all life…..